Still Corners is influenced by spacey experiments of Vangelis, the expansive, cinematic sounds of Ennio Morricone, and glamorous '80s synth pop, Still Corners is the project of Greg Hughes and Tessa Murray. The group formed shortly after Hughes, an American expatriate, met Murray by chance at a London train stop in 2009. In 2010 Still Corners released singles Don't Fall in Love/Wish on 7-inch through British psychedelia label the Great Pop Supplement with an accompanying video for Wish directed by Lucy Dyson. Selling all 700 copies in a single day saw Sub Pop take due notice and quickly sign the group. Their first full length, Creatures of an Hour, was released by Sub Pop in 2011. 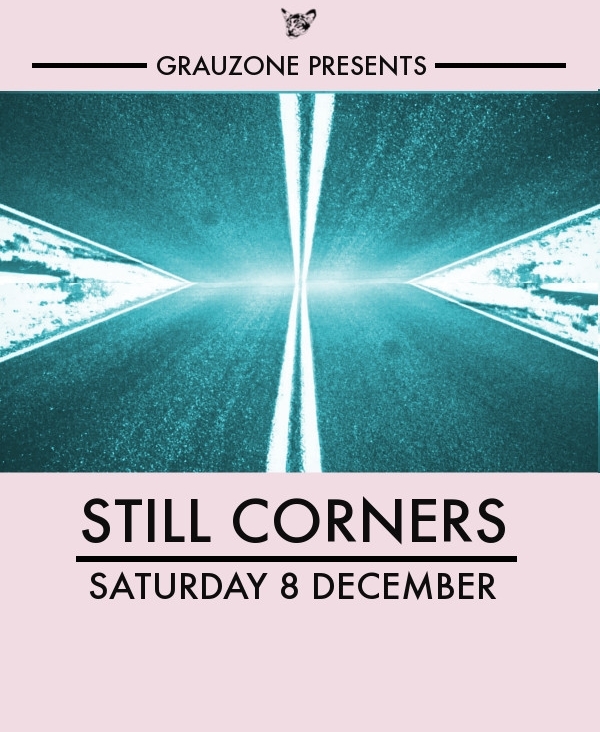 By the time of their second record in 2013, Still Corners had shifted focus from '60s influences in favour of a slicker, more '80s-sound inspired by Roxy Music’s Avalon. Another Sub Pop release, Strange Pleasures includes the hit single Fireflies (Pitchfork, Best New Track) and sleeper hit, The Trip. To record their third album, Murray and Hughes relocated from London to the English seaside. Moved by the water's intense dark colour, they named the set of songs Dead Blue. The album, which featured the Brian Wilson-inspired single Lost Boys was released on Still Corners' very own Wrecking Light Records in September 2016 and was highest-rated dream pop album on The Line of Best Fit in 2016. Still Corners return this year with a new album, Slow Air. Evoking the atmospheric sounds Still Corners are known for, Slow Air continues the band's journey with a lush, ethereal album inspired by the heat of America’s west.